The joint business, announced in November 2014 alongside the signing of the Australia-China Free Trade Agreement, will see the airlines cooperate on services between the two countries. 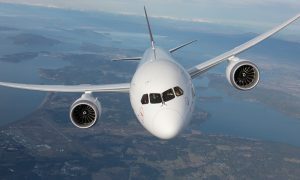 For customers, the authorisation granted will allow Qantas and China Eastern to deliver expanded services, better departure and arrival schedules, shorter transit times, increased frequent flyer benefits and a wider range of onward connections within China and Australia. 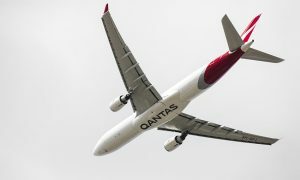 Qantas Group CEO, Alan Joyce said the ACCC’s final decision will help the airlines deliver a better travel experience for the growing number of customers travelling between the two countries and strengthen Australia’s connections with China, a key trading partner. “We put a strong case to the ACCC that outlined the benefits of this partnership for travellers as well as Australian tourism and trade. “China is Australia’s most valuable inbound tourism market – projected to contribute up to $9 billion annually to the Australian economy by 2020. “The joint venture with China Eastern allows us to increase capacity between the two countries by linking to key hubs and offer connectivity to each carrier’s behind and beyond networks. “By working with China Eastern we are able to maximise Qantas’ presence throughout China and build a more sustainable platform for future growth such as opening up new routes from Australia to Shanghai. “Greater connectivity and improved customer benefits will also help boost trade relations between the two countries as a result of the Australia-China Free Trade Agreement signed last year. “We cannot fly to every destination in China. However our deepened relationship with China Eastern supports our successful strategy to work with key partners around the world to offer the most comprehensive network and world class travel experiences for our customers,” said Mr Joyce. China Eastern Chairman Mr Liu Shaoyong said the airline looks forward to working with Qantas under the enhanced partnership. “We are very happy with the ACCC’s decision. Through this partnership we are helping to generate more tourism and trade opportunities with Australia and provide more convenient travel options for the many customers who travel between our two countries. “We are excited by the possibilities ahead and look forward to helping our customers enjoy all that Australia and China have to offer,” said Mr Shaoyong. The significant benefits of the partnership were recognised in public submissions, including from key government and tourism bodies that overwhelmingly supported the partnership. 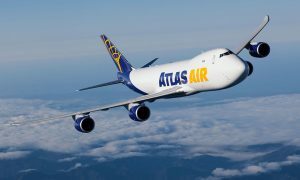 The two airlines currently have a reciprocal codeshare agreement on a total of 17 flights a week between Australia and mainland China, as well as a number of onward domestic destinations in both countries. More than 20 airlines currently offer services between Australia and mainland China.